In a world of damaged ecological and social systems, with a fragile global economy and a rapidly changing climate, business as we know it must evolve or perish. 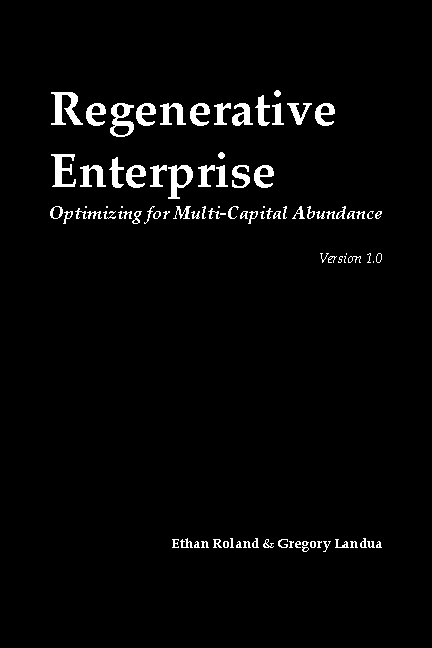 Welcome to 8 Forms of Capital and Regenerative Enterprise. The Regenerative Enterprise Institute also offers coaching and consulting services to enterprises and corporations that want to take the leap to regeneration. Contact us now to learn more.